It was June 17, Hillary Schmitt’s birthday, and she had a “good feeling,” a mood that became infectious as Aarrr Booty, the Schmitts’ 44-foot Marine Trader, set out for another day of treasure hunting on a 300-year-old Spanish wreck off Fort Pierce, Florida. 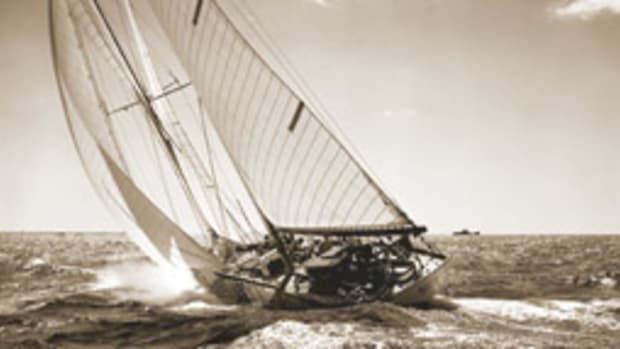 Working 1,000 feet off Fort Pierce beach, Schmitt used Aarrr Booty’s twin “mailboxes” — metal tubes at the stern — to deflect prop wash downward and excavate a hole in the sand. When he dove into the 15-foot-deep water and scanned the hole with a metal detector, “I got a huge hit,” he says. “Usually it’s a lead sinker or beer can, which we’d been finding a lot of.” He poked his knife into the sand. “Lo and behold, a gold coin popped out.” That was the only one he found there. He moved the boat a few feet, blew out another hole and started poking around in the thin layer of mud between sand and bedrock. “There were coins everywhere,” he says. Schmitt suspects a bag of gold and silver from the wreck settled at the site. Altogether divers recovered $1 million worth of booty: 41 feet of gold chain; 110 silver coins; candlesticks, forks and other silver household wares; an olive jar; and 52 gold coins, including a rare “Tricentennial Royal” minted in 1715 and valued at $500,000, says Dale Zeak, a longtime team member and the other co-captain. After 10 summers of hunting treasure, the Schmitts — and Zeak — had hit the jackpot. Instead of visiting Walt Disney World or Busch Gardens, Aarrr Booty’s close-knit crew goes treasure hunting each summer for family fun off Fort Pierce, where 11 Spanish ships laden with gold, silver and other goods sank in a hurricane July 31, 1715, while sailing from Cuba to Spain. Aarrr Booty has been exploring the seabed around one of those wrecks. “It’s been a good year,” says Zeak. Actually it has been a very good couple of years. The Schmitts — father Rick, his wife, Lisa, son Eric, daughter Hillary, Eric’s wife, Lindsay — and Zeak have made major finds in each of the last three years. This year, they were just three days into their annual hunt when they found the cache. In 2013 it was the last day of their season when they hauled up $400,000 worth of treasure — 64 feet of gold chain, 50 silver coins and 11 gold coins (escudos), Zeak says. Last year, they found a gold filigree frame, likely part of a pendant or a pyx used to display a communion wafer. The first 20 percent of the artifacts they find goes to the state of Florida for display in the state historical museum in Tallahassee. The remaining 80 percent is split between the boat and 1715 Treasure Fleet-Queens Jewels, the salvage permit holder for five of the 11 Spanish wrecks. The boat’s share is divvied up among its crew. 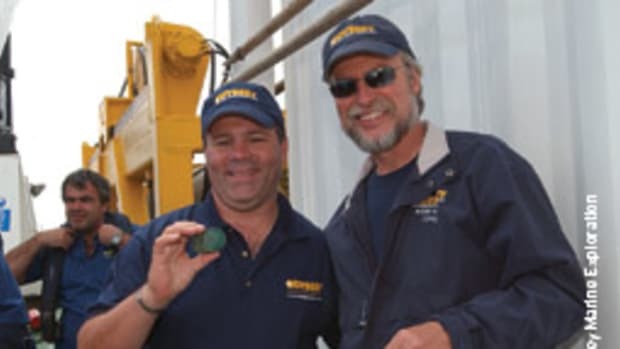 The Schmitts — and other salvors — work under contract with Queens Jewels. A Lucky Year It has been a good year for treasure hunting on the 1715 Fleet wrecks off Florida’s east coast. On Aug. 19, 1715 Fleet-Queens Jewels — the permit holder for five of the 11 Spanish wrecks off Fort Pierce and Vero Beach — announced that its own salvage vessel, S/V Capitana, had recovered more than 350 gold coins valued at $4.5 million July 30-31, on the 300th anniversary of the ships’ sinking in a hurricane. 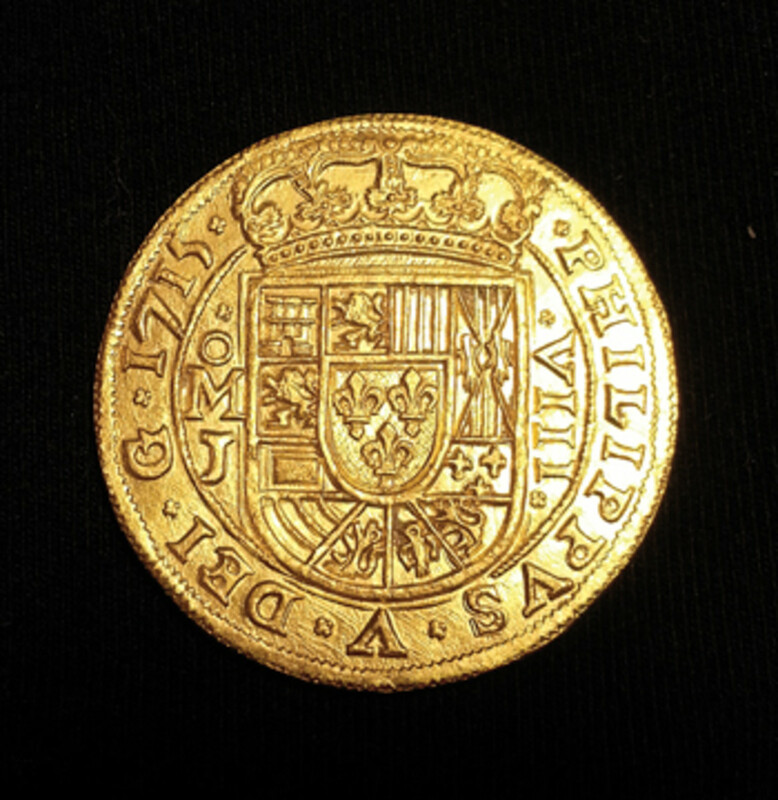 Among the coins were nine “Royal Eight” escudos made specifically for the king of Spain, Philip V. The coins, which are virtually perfect specimens, represent 30 percent of all Royal Eights known to exist, says Brent Brisben, who owns Queens Jewels. The artifacts were discovered in shallow water — just 6 feet — off Vero Beach. “These finds are important not just for their monetary value, but their historical importance,” says Brisbane. The 1715 Fleet departed Cuba for Spain on July 24 and sank in a hurricane off Florida a week later, coming to rest near shore — in some cases just beyond the surf line. 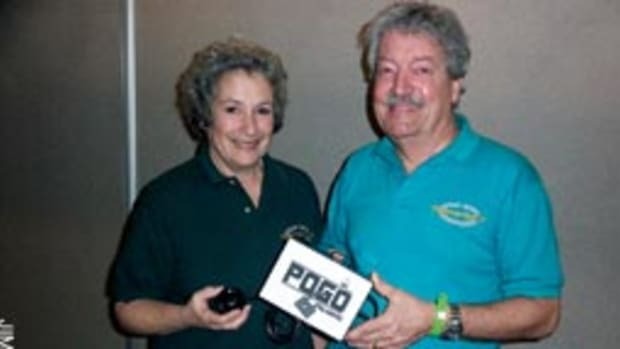 “We’ve been doing this quite a while,” says Zeak, the owner of a pest control company in Sanford, Florida. 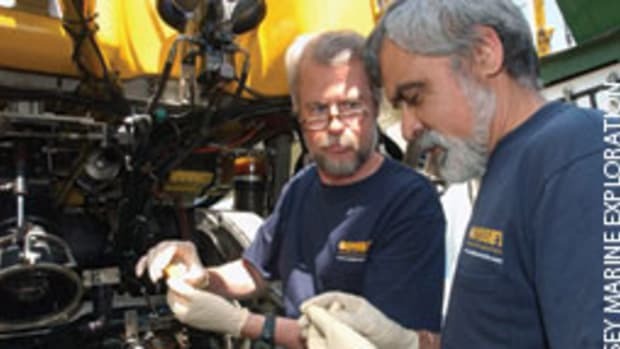 Zeak, his son and the Schmitts started working the Fort Pierce wrecks in 1999 on a 68-foot salvage vessel, Booty Quest, which Rick Schmitt bought after selling his pest control company. 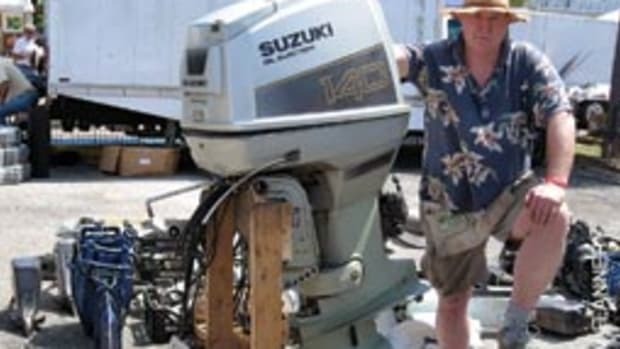 That vessel was lost in Hurricane Frances in 2004, knocking the amateur hunters out of the water until 2011, when Rick Schmitt bought Aarrr Booty. Typically treasure-hunting season for Aarrr Booty is June through August, when the ocean is calm enough to hold the boat in place with three-point anchoring. Weather permitting, they may extend the season to May and September. 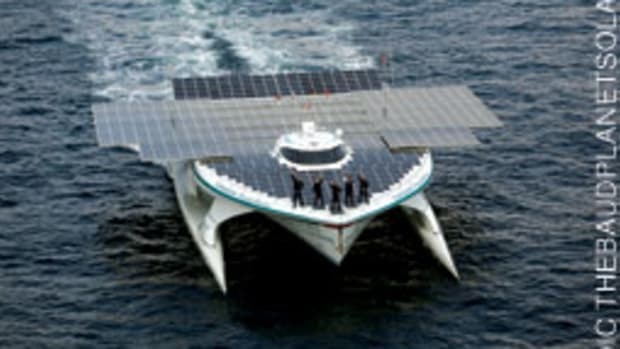 “The water needs to be flat calm to work,” Schmitt says. Ten years of hunting for treasure — knowing how the currents, tides and different types and configurations of sea bottom move and trap artifacts — also helps. “Treasure hides,” Zeak says. “You have to know where to look for it. “If they keep coming back, that tells me they have perseverance,” he says. They may get a shot at a permit. Like playing the lottery, the odds were against the Aarrr Booty crew, but after years of hard work they hit the jackpot. Zeak won’t be sitting back in his easy chair counting his share of the booty. “I’m very much looking forward to seeing my grandkids go to the bottom with me” to look for another rich cache, he says. Eric Schmitt, a graduate in business from the University of Central Florida, says he’ll be back next year and even may try to make treasure hunting a full-time job. 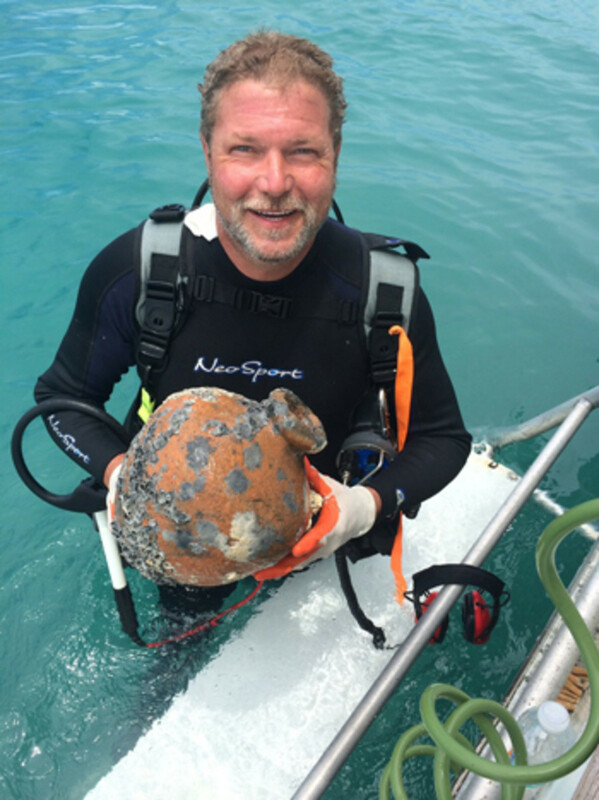 He worked as a diver for a treasure-hunting group in Panama last winter, but even for him the treasure is the icing on the cake. “It’s more about the hunt than the find,” he says, though finding can be pretty exciting — and lucrative enough to keep Aarrr Booty hunting. That icing can taste pretty good. Queens Jewels acquired admiralty custodianship of the wrecks from the heirs of treasure hunter Mel Fisher. Salvage of the 1715 Fleet began in the late 1950s. 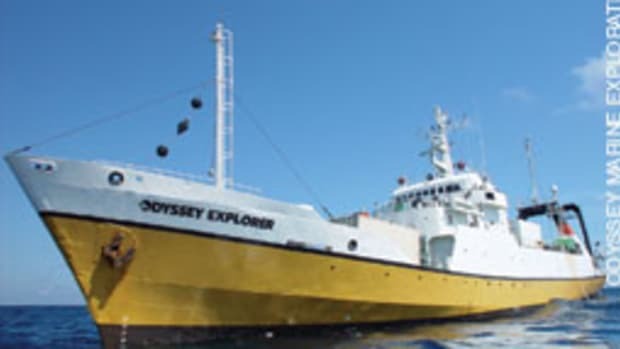 In the ’70s, Fisher moved on to the Florida Keys to search for the Atocha. In 2010, 1715 Treasure Fleet-Queens Jewels took over salvage operations.